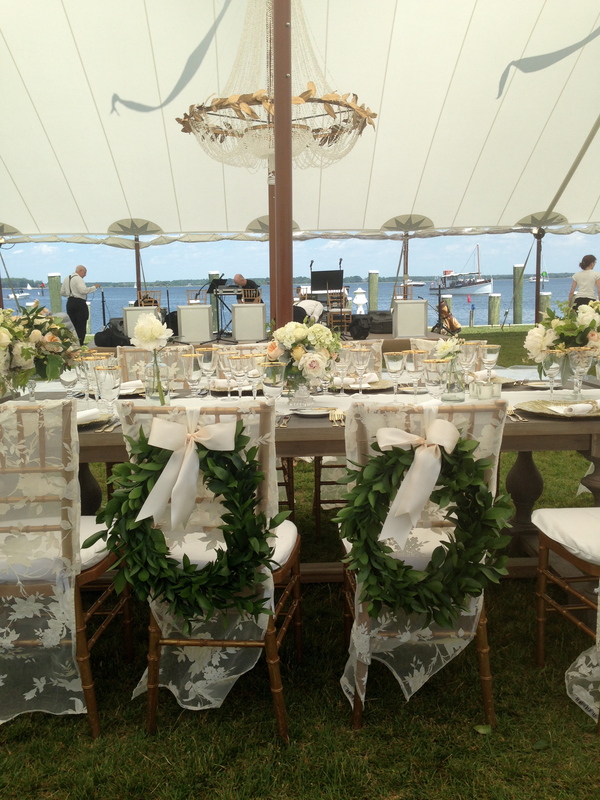 If a picture is worth a thousand words–there is not a whole lot I can add when it comes to the stunningly beautiful wedding we worked on this past weekend in St. Michaels. 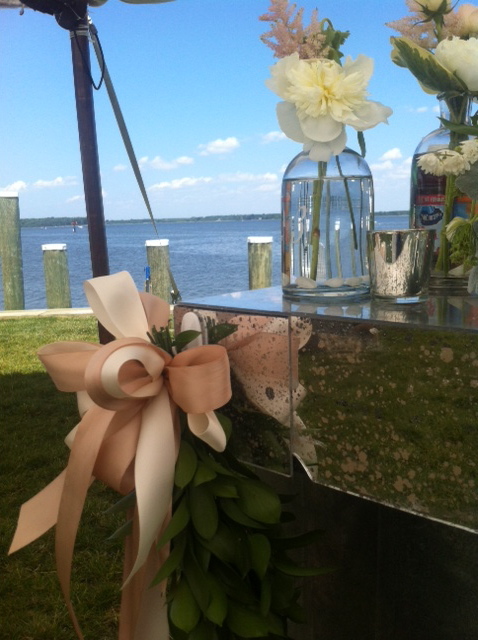 The reception was held at the Chesapeake Bay Maritime Museum and it is an amazing waterfront venue. It was a hot and sticky day for set-up but the water was sparkling, the sky couldn’t have been more blue, and the breeze was perfectly lovely. 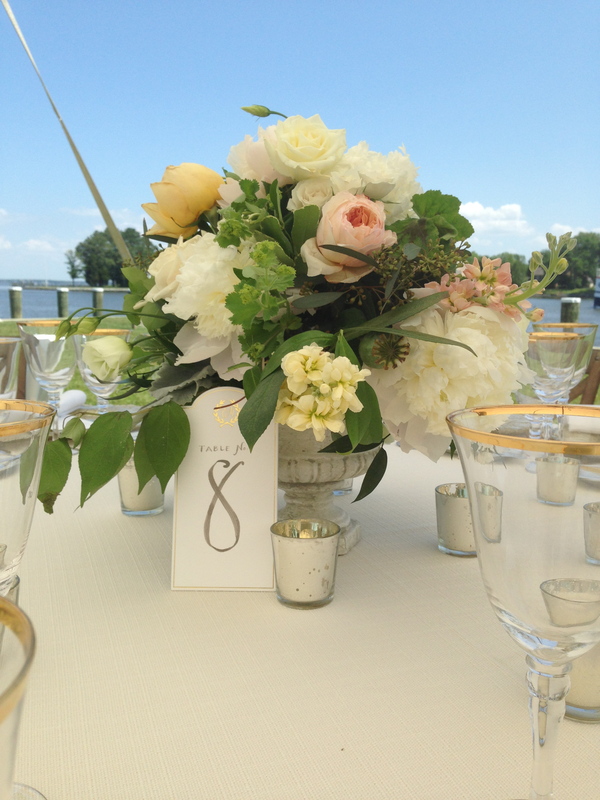 While we don’t have the “official” photographs back from the wedding, I think our in-house shots were pretty darn good–and when the setting and the decor happen to be breathtaking, even an Iphone can take gorgeous shots. 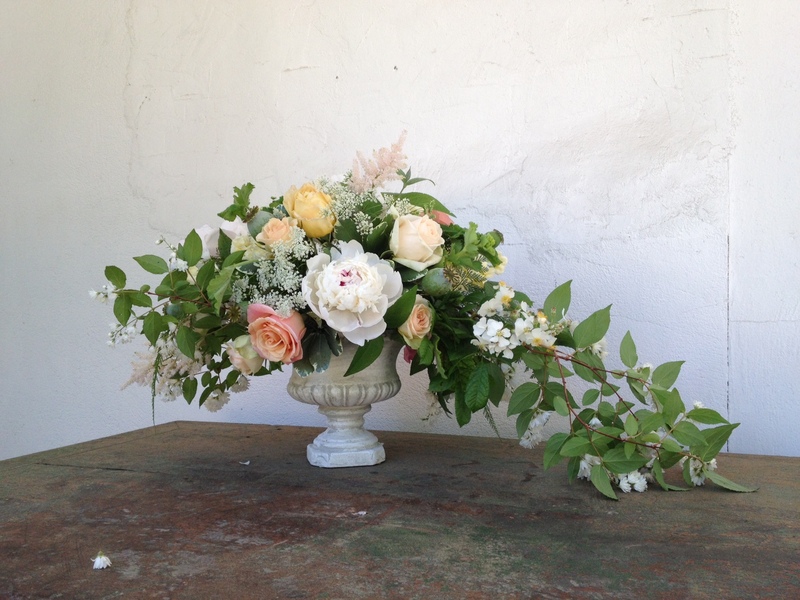 Liz’s bouquet was a romantic compilation of two varieties of David Austin garden roses, including-of course-the classic Juliette. 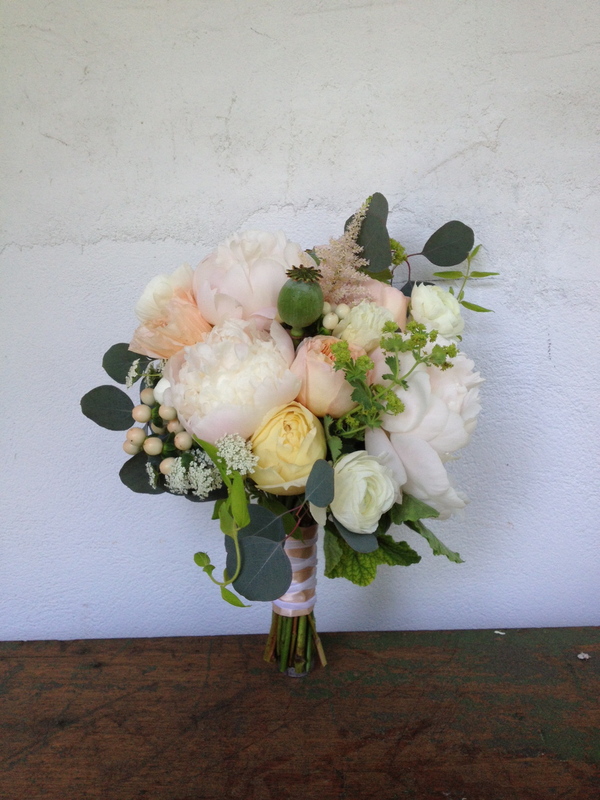 We also incorporated white and cream peonies, poppy pods, ranunculus, peach hypericum, and fluffy blush astilbe. 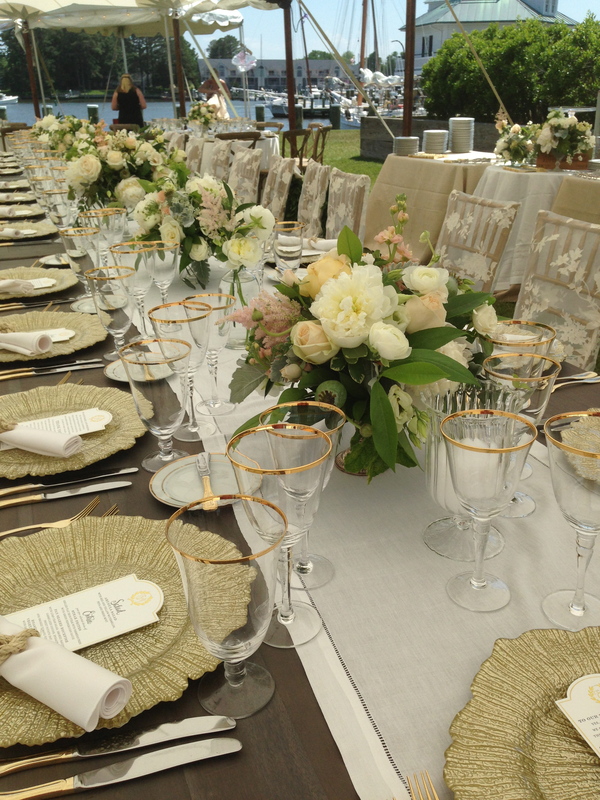 Bride and Groom’s chairs were decorated with wreaths of ruscus. And how about that chandelier over the dance floor? 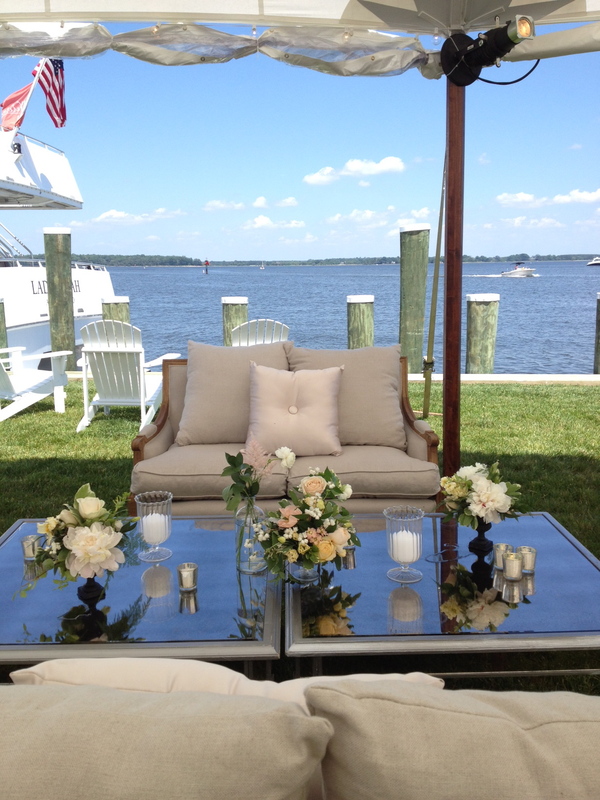 Just a quiet little corner under the tent for guests to lounge–with a view. A mirrored bar was decorated with a ruscus garland, thick ribbons and vintage bottles of florals. 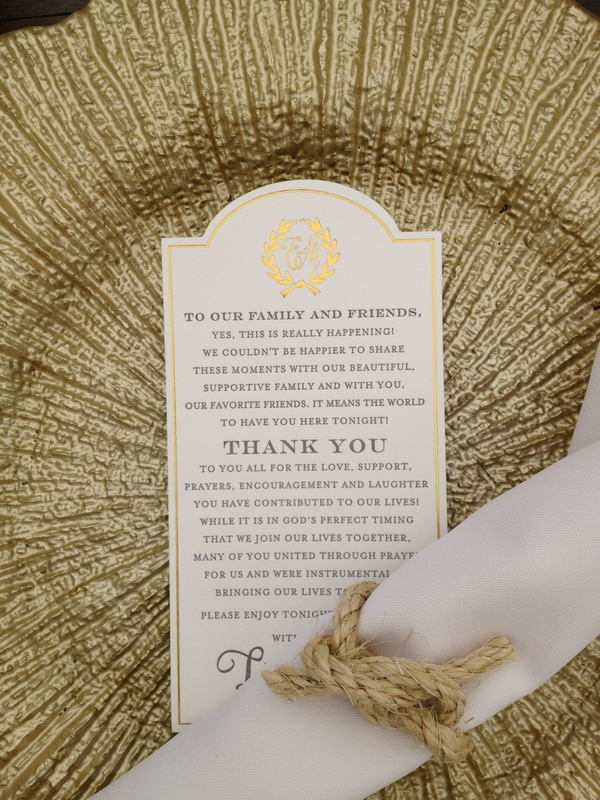 Gold chargers with appropriate scalloped detailing and napkins tied with nautical twine. 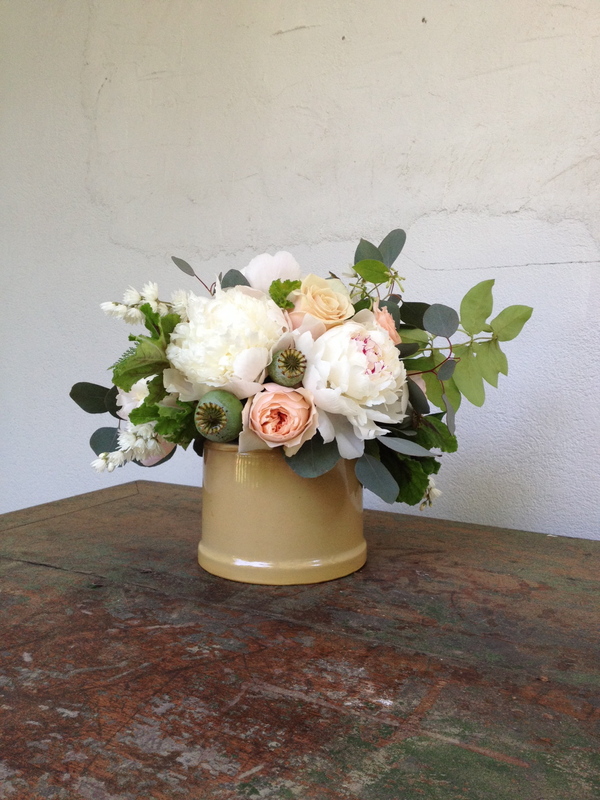 Every centerpiece was unique but created in either stone urns or vintage compotes. 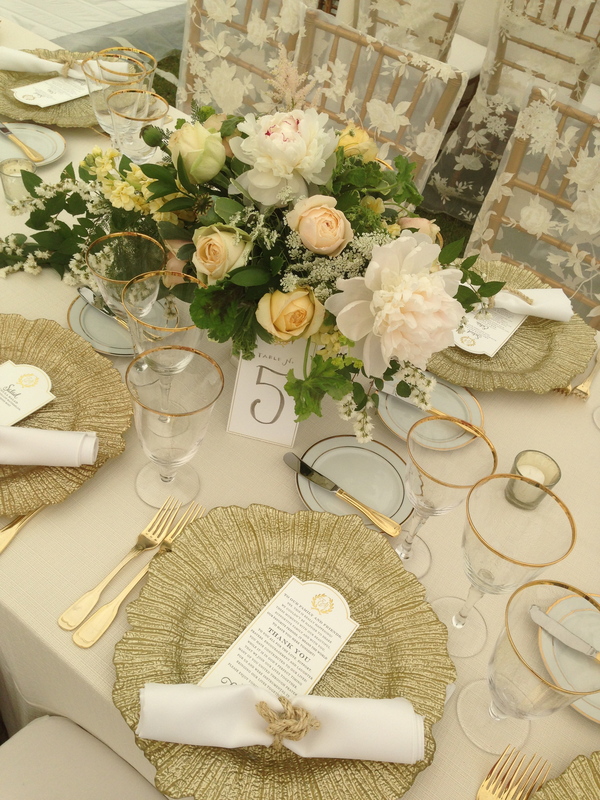 The soft palette of cream, white, soft peach, and buttercream was a beautiful complement to the gold silverware and chargers. I am so lucky to work with an amazing team of people. 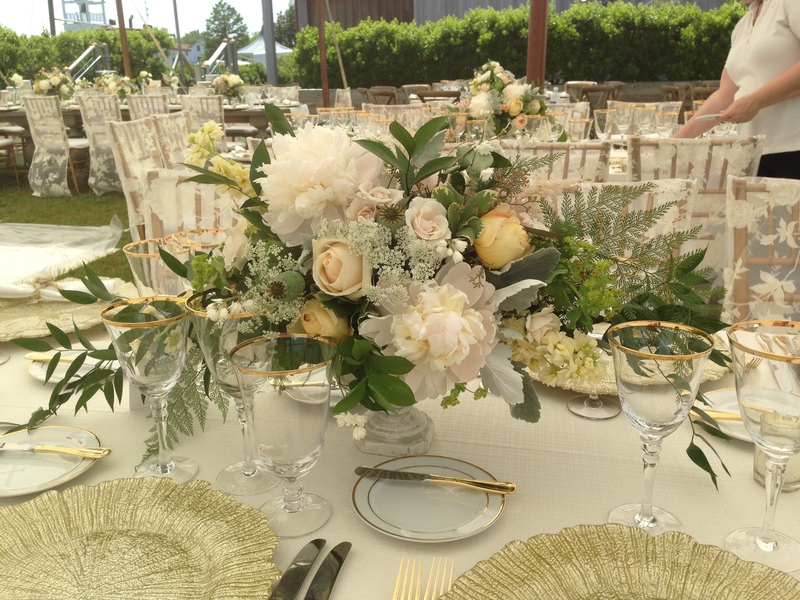 Whether they’re processing flowers, creating original designs, following a formula, working on delivery and set-up details, or hauling flowers and decor in an oppressive heatwave (or rainstorm, sleet or wintry winds–whatever Mother Nature chooses to dish out on wedding day), they give their best every step of the way. With an amazing eye for detail, a commitment to producing quality work and uncompromising integrity they are the key to our outstanding reputation in this industry. In no particular order I am most grateful to Debbie Collins, Susie Curro, Chris Curro, Katie Kutil McDonough, Gary Godbey and Shannon Marshall. You guys are the best!